Polyphenols - How Are They Affecting Your Blood Sugar? Home / Food Tips / Polyphenols – How Are They Affecting Your Blood Sugar? Polyphenols – How Are They Affecting Your Blood Sugar? Are Polyphenols affecting your blood sugar? You likely don’t have any idea, as “polyphenol” is not a word that gets thrown around very often! Polyphenols are naturally-occurring chemicals found in plants. In fact, there are more than 500 types of polyphenols, each of them unique, and all offering potential health benefits. These benefits are mostly due to the role of polyphenols as antioxidants (free-radical fighters that reduce cell damage.) Type II diabetes, heart disease, even cancer – all show decreased frequency when intake of polyphenols is increased. For Type II diabetics, polyphenols may be especially helpful in lowering insulin resistance. By increasing the body’s insulin sensitivity, the body absorbs sugar more slowly. This results in lower blood sugar! Research has shown a lower risk of type II diabetes in those who consumed the highest levels of polyphenols. A review of studies looked at the impact of the polyphenols in unprocessed, unsweetened cocoa. Not only were insulin resistance levels improved, there was also a significant reduction in blood pressure levels. It was also found that the cocoa decreased amounts of LDL/”bad” cholesterol, and increased levels of HDL/”good” cholesterol. In fact, research shows that individuals who consume a diet high in antioxidants reduce their risk of heart disease by 65%. The comprehensive health benefits of cocoa include relief from high blood pressure, cholesterol, constipation, chronic fatigue syndrome and various other illnesses. It also possesses mood-enhancing properties and is rich in minerals such as iron, magnesium, calcium, zinc, and potassium. Research has suggested that cocoa’s flavanols (one of the many polyphenols in cocoa) may also contribute to maintaining a healthy brain. These protective benefits could positively affect learning and memory functions. Aside from flavonols, lignans are another healthful polyphenol. These polyphenols are found in olive oil, flaxseeds, and whole grains. Higher levels of lignans were associated with reduced inflammation in the body. This is huge in terms of disease prevention, as long-term inflammation has been linked to diseases like heart disease and cancer. Resveratrol is yet another polyphenol powerhouse. Found in red wine (thanks be to grapes), resveratrol helps to enhance the release of insulin into the blood stream, therefore keeping blood sugar down. The polyphenols in red wine can help prevent the development of chronic diseases, and even help you live longer. Red wine drinkers have a lower mortality rate than vodka or whiskey drinkers. Red wine can also help lengthen life span by fighting illnesses like Alzheimer’s. By the same token, coffee and tea are two more beverages packed with polyphenols! If you don’t prefer to drink your polyphenols, they are mainly found in plant-based foods. A seemingly endless supply of fresh fruits contain polyphenols: strawberries, raspberries, blueberries, blackberries, apples, oranges, peaches, grapes, cherries, apricots, this list goes on and on! Veggies like broccoli, artichokes, spinach, asparagus, carrots, and black or green olives are all excellent sources of polyphenol-goodness. Legumes like white or black beans, along with nuts and seeds, also contain polyphenols. 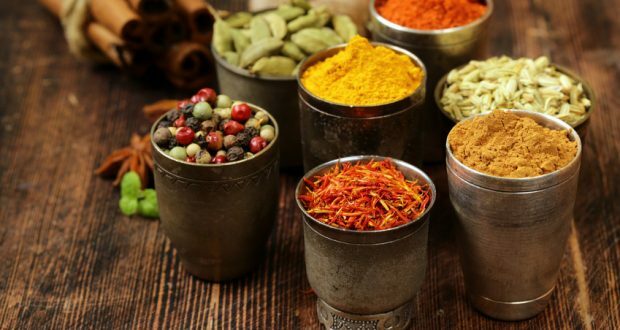 Believe it or not, a variety of spices and seasonings can also be good sources of polyphenols. This goes for fresh ones like capers, as well as an enormous variety of dried spices: curry powder, oregano, thyme, rosemary, sage, ginger, cumin, saffron, and cinnamon just to name a few! Aside from its polyphenol content, diabetics in particular can benefit from cinnamon. It helps to lower blood sugar levels and improve insulin sensitivity. Cinnamon helps to slow the absorption of glucose into the blood stream. This contributes not only to lower blood sugar, but also helps to keep sugar levels steady over longer periods of time.